Gotta have your morning cup of coffee to get the day started right? More and more research shows that this practice may provide a significant boost to your health.The latest study involving caffeine has found that it may improve memory. The study was performed at Johns Hopkins University, and involved a double blind trial in which participants were given either a 200 miligram caffeine tablet, or a placebo, five minutes after they were shown and instructed to study a series of images. The following day, the participants were shown another series of images, some they had seen the previous day, some they had not, and some they had not seen, but were similar to those they had. Researchers found that more of the participants who had taken the caffeine supplement were able to identify images as similar to the ones they had seen the previous day, without mistaking them for the same image, than participants who had received the placebo. The amount of caffeine—200 milligrams—used by the researchers in the experiment is comparable to the amount found in a strongly brewed cup of coffee. 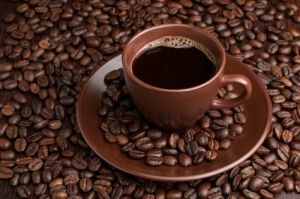 Depending on how it is brewed, and to what strength, an eight-ounce cup of coffee contains between 80 and 200 milligrams of caffeine. Aside from this new discovery of caffeine’s link to longer-term memory, coffee has many other important health benefits to speak of. One is a link to a longer life. Two large studies performed in 2008 examined the coffee-drinking habits of 41,736 men and 86,214 women with no history of cancer or heart disease. Researchers found that the men who drank coffee had a 20 percent lower risk of death, while the coffee-drinking women had a 26 percent lower risk of death, than those who did not drink coffee. Coffee contains a plethora of nutrients and antioxidants, including vitamins B2, B3 and B5, and the minerals manganese and potassium. Additionally, it has been linked to protecting the liver from cirrhosis, and potentially lowering the risk of cancer, stroke, diabetes, Alzheimer’s disease and Parkinson’s disease. When choosing a coffee, keep in mind that your best options are always organic. Organic coffee is grown without the use of pesticides and herbicides, and its cultivation therefore poses much less risk to both the environment and to workers. To add an even bigger health punch to your cup of coffee, try blending it with some organic, extra virgin coconut oil, and have a truly nutritious and happy morning. 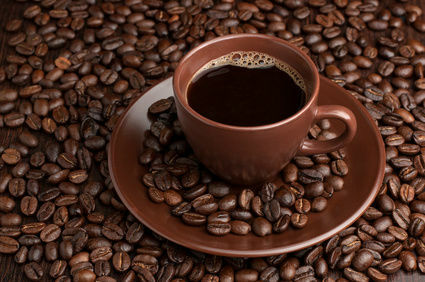 Hey Buddy!, I found this information for you: "Organic Coffee Can Improve Memory". Here is the website link: https://www.thealternativedaily.com/organic-coffee-can-improve-memory/. Thank you.